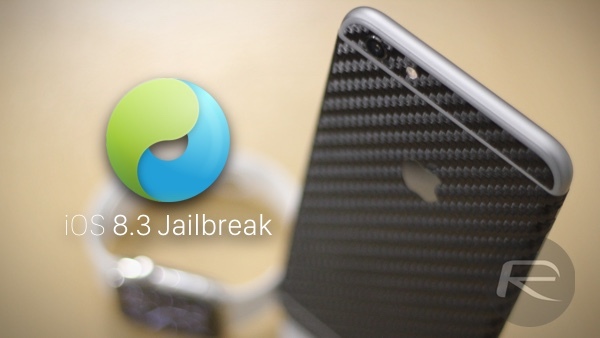 It’s taken quite a bit of time, but yesterday finally saw the release of an untethered jailbreak for iOS 8.3. Just days before iOS 8.4 will be made available for iPhones and iPads and with iOS 9 currently in beta testing, the move to release a jailbreak for iOS 8.3 at this point in time may be seen as strange by some, but we’re sure the folks behind it – the TaiG team – know what they’re doing. Unfortunately, the release hasn’t been without its controversy with some tweaks seemingly not ready for the update to iOS 8.3. One of those, Cydia Substrate, is pretty pivotal to how jailbreak tweaks work and having been created by Jay Freeman, all eyes are very much on it when a new jailbreak is released. Unfortunately, once it was discovered that it wasn’t compatible with iOS 8.3 a game of hot potato began. Initially, the folks behind the jailbreak itself suggested that Freeman – or Saurik as he is known in the community – would need to work to fix Cydia Substrate himself. That led to Freeman having to point out that the issue was indeed with the jailbreak itself, with a kernel patch required in order to get Cydia Substrate and potentially other tweaks working as they should. That fix is now in the process of being implemented, which is good news. Unfortunately however, some people are still blaming Freeman for the whole thing. As tends to be the case these days, this whole thing has been played out via Twitter and Reddit, with Freeman pointing complainers at a Weibo post in one of his tweets that shows TaiG accepts that the fault is theirs to fix. Now we just need to wait for that fix to be implemented by TaiG and once it is, it will be released as an update on TaiG’s repo on Cydia for those who have already jailbroken, and will be bundled in a new update to TaiG v2 tool for new jailbreakers. We’ll obviously update you all as soon as it’s released. Stay tuned! I’m hoping to see a fix for those of us with an Apple Watch. I’ve read conflicting arguments everywhere on the Interwebs about it. @Saurik, has always mentioned about testing the Jailbreak before final release, it seems TaiG was in hurry to be the first and somethings got messedup, its clearly stated that there isn’t any issues with Cydia Substrate and the fault lies in the Kernel Programming. Its always been like this only, once the kernel is made bug free, there is always a tweaking needed for all the apps.